One common cause of concern for most of the VPS Hosting users is the incremental trend of CPU, bandwidth and memory consumption. Web hosting resources – like Bandwidth, Memory or CPU – come with a certain price tag and it is of utmost importance to limit the usage of resources in order to curb the ever increasing cost of running a successful website. 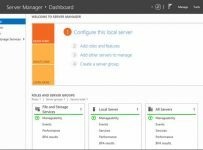 With the help of a few performance tweaks, you can customize your default settings and extract the optimal performance out of your web server. Let’s grasp some technical nitty-gritty of VPS Performance Optimization. In this tutorial, we will be discussing eight helpful WHM tweaks which can optimize resource utilization and boost up the performance level of your VPS package to a significant extent. Mailman is an useful mailing list utility with a few unique features. However, at the same time, it is a memory connoisseur – as it creates a process that runs constatly on your server all the time, even when you are not using your delivery list or any other email application/software(s). If maintaining a mail delivery list is one of your main priorities, then there are a number of alternatives available in the market which can do the work quite efficiently. For example, you can use phplist, regarded as the world’s most popular open source email campaign manager. Unlike mailman, phplist utilizes your resources only when you are using the application. By default, mailman is turned ‘On’ in your WHM interface. Log in to your WHM account and navigate to Server Configuration >> Tweak Settings. Trigger the corresponding radio button to turn Mailman off. Do remember to “Save” the change of settings. Spamassassin stands next to Mailman in terms of memory consumption. The main reason for Spamassassin to consume high memory lies is in the default set-up of spamd daemon, which does not limit the number of processes it creates on start-up. As a result, it goes on creating new processes/child processes without killing the ones that were created previously. Each of these new processes consumes memory and hence the memory utilization gets multifolded. To prevent this, you can either disable Spamassassin or restrict spamd daemon from creating more than a certain number of processes at the start-up. 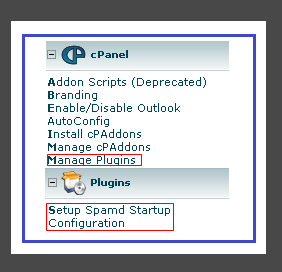 Disabling Spamassassin is not a good idea as it can lead you to get flooded with spam emails; hence we will incorporate the second approach, i.e., restricting spamd daemon from creating more than 2 processes at the start up. Browse through the WHM Menu items available on the left hand side on your web browser and look for “Manage Plugins” section. Scroll down further till you get “Setup Spamd Startup Configuration” sub-menu. Once you click on it, it will display four options for you to choose from. The second option will read “Maximum Children” (don’t get confused, it has nothing to do with family planning) – set it to 2. Save the configuration. Whenever your mail server queue runs, it increases the load on your web server, which in-turn compromises on the performance of your CPU and System Memory. By reducing the frequency of running your mail queue, you can extract the optimal performance out of your server package. From your WHM home page, navigate to Server Configuration >> Tweak Settings >> Mail. By default, “Number of minutes between mail server queue runs” will be set to “60”. Change the value to “120” and save the configuration. As per the default settings, the mail server queue would run 24 times a day, but with this tweak, you have set it to run only 12 times per day – which is bound to conserve significant server resources. WHM’s CatchAll feature stores a copy of all the domain emails (directed to multiple email IDs) in a common mailbox known as Default Email Address. However, it usually consumes high CPU and disk space. It is highly recommended to change the default settings to “Fail” to optimize your resource consumption. To make this tweak work, go to Go to WHM >> Server Configuration >> Tweak Settings >> Mail. The very first option will be to set up your Default/catch-all email. The default status will be set to “System account default (or localuser)”. Change your selection to “Fail” and click on the “Save” button. 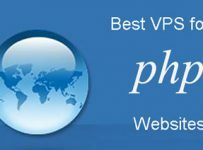 Once you are done with configuring all the four VPS Performance Optimization tweaks mentioned above, you would observe considerable improvement in the overall performance of your web server. You can further fine tune the resource consumption with the help of the below given tweaks, although they are not as significant as the first four tweaks discussed so far. This change of settings will come handy if your server consumes memory to a significant extent, but at the same time, the CPU/Disk utilization is on the lower side. Go to Server Configuration >> Tweak Settings >> System and enable the option “Conserve Memory at the expense of using more cpu/diskio.” It can marginally reduce your processing speed and you can observe a slight increase in CPU utilization. Cron jobs consume both memory and CPU resources, which can in-turn, affect your web server performance. It is highly recommended to schedule the cron jobs to run at off-peak hours, so that the impact of performance drop can be minimized. Go to WHM >> Manage Plugins >>Configure cPanel Cron Times to alter the scheduled cron time. Another VPS Performance Optimization technique is to turn off BoxTrapper in your email settings. It is a spam trap which prevents unwanted mails from clogging your inbox. Disabling this feature will free up CPU as well as RAM. Go to WHM >> Server Configuration >> Tweak Settings >> Mail and select “Off” radio button corresponding to the first line item “Enable BoxTrapper Spam Trap”.